Kate grew up with Arabian and Saddlebred horses on her parents’ farm on Vancouver Island and began riding lessons at six years old. 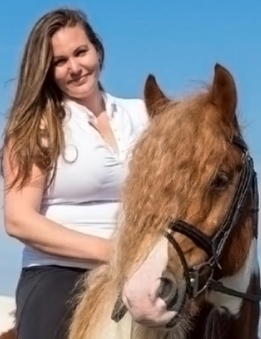 Her deep passion for horses led her to pursue them as a career, including chasing her dreams across provincial lines for opportunities to work for Quarterhorse and Arabian horse breeders and trainers; and dressage and hunter-jumper barns. Kate started at Tally-Ho is 2006, and managed the downtown operations of the company from 2012 until 2018. 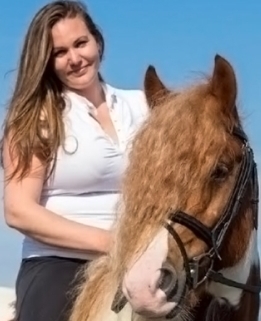 Kate is passionate about the carriage industry and has worked tirelessly to ensure that the company’s key goals of safety, horsemanship and customer service are always achieved; and has embodied the family spirit of the business. In 2019 Kate will return to school to further develop her public relations skills; and will continue to work for Tally-Ho part time in order to remain close to the team of people and herd of horses.